The last Sunday in the month of February saw the project’s doors opened again and around 50 people took advantage of this, making the journey to come and see the recent developments. Alongside the raffle and all merchandise on sale, it was also a chance for people to join the Supporters’ Club, which another eleven people chose to do on the day, joining the ranks of the 800 or so members of the club to date. The Open Days are always a chance to catch up with new developments and acquisitions, and with the current rate of happenings within the project, there are plenty of both every single month. 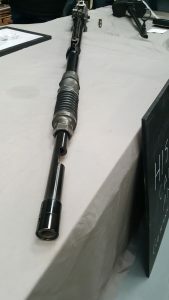 Of particular importance at this event was the sectioned Hispano 20mm cannon, a firm favourite with the kids in attendance, and also with the big kids! 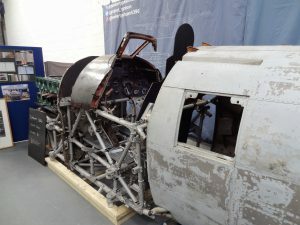 There have also been significant developments with the cockpit section, as it is being cosmetically refurbished for an up-coming event in London which is taking place in April. A team of volunteers from within the Supporters’ Club has been working hard cleaning up, refurbishing and replacing certain sections of the cockpit section, and it is now possible to see the sectioned “spare” Napier Sabre in the project’s possession in place on the engine mounts, this was all on display last weekend. The Open Days are a great day for catching up with friends but also seeing the progress of the project. Just one week on from the February Open Day, members of the team are braving the weather and setting off for the continent, they are visiting Holland and France in order to collect more sections, including wing spars, all of which will be incredibly useful as the build develops. There are always things like this being worked on in the background, constantly developing the project and moving it forward, so that at each and every Open Day there is always more to show, it is this constant behind the scenes work that means the project is where it is now, the largest collection of Typhoon parts, sections and engineering outside the RAF Museum. 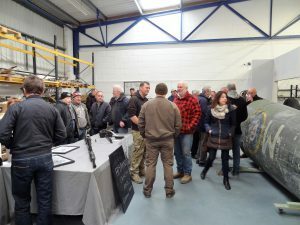 This particular Open Day, despite the relatively tame attendance, still raised over £1,000 – an excellent figure and money that will all go directly towards furthering the charity’s aims; if every Open Day this year raises that much then that is a significant portion of the costs covered, meaning the build can progress even faster. With the current level of fundraising and predicted income from the remainder of the year’s events, then the physical build is hoped to be able to commence in the next few months, most likely with the rudder which only requires relatively minor modifications, then progressing to the tail section, before steadily moving forward along the aircraft. The rate at which the build can progress is directly linked to the funds raised, as every penny is being raised from donations and membership subscriptions, if you would like to donate towards the project, then you can visit the “donate” section of our website by clicking here, if you area UK taxpayer, don’t forget to fill in the GiftAid form, then your donation or membership will be worth an extra 25% to the project at no extra cost to you. The next Open Day is on the last Sunday of the month in March, which falls on the 25th, the weekend before Easter. 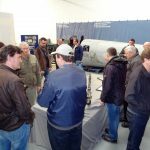 The team is currently working on more developments for that day too, and the items picked up from the continent on this first weekend in March will be on display, so if you would like to be among the first to see them, then put the date in your diary. 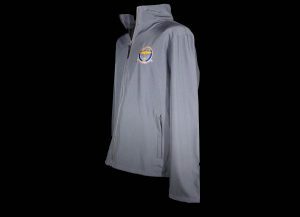 All the details can be found on the front page of our website. The team is also working on some display boards to give some information behind some of the items, and also some specific display cabinets in which various individuals’ medals and personal effects, including books, pictures, notebooks and uniforms, will be displayed. These will all enhance the telling of the story behind the Typhoon, but they do take time and the volunteer members of the team are doing what they can, when they can. If you would like to volunteer and are already a member of the Supporters’ Club, then please get in touch, if you are not a member then please join the club and get in touch – all volunteers come from within the Supporters’ Club, that is one of the specific benefits of joining. Thank you to all those who attended, and all those members of the volunteer team who made the day possible.